Do you love Amazon as much as I do? 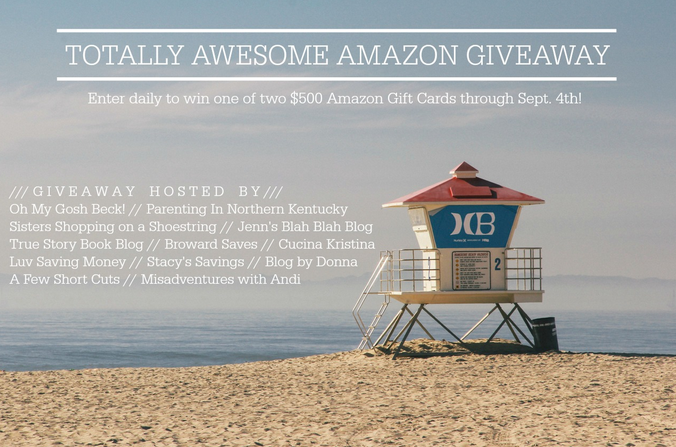 If so, you’re going to flip for this giveaway because my blogger friends and I are giving away $500 Amazon gift cards to two of our readers this month! If you want to be one of the lucky winners, here’s what you need to do - bookmark this page and come back every day to enter and earn bonus entries by sharing the giveaway with your friends on social media. Good luck! On a bad day, the one thing that cheers me up is to write. This allows me to express myself or use my creativity to explore various characters I have created and build upon those stories. Insane giveaway that could make my amazon wishlist a reality! Hmm... something cheers me up on a bad day, besides ice cream, would have to be visiting the dog run at any park. There's something about puppy kisses that turn any frown upside down lol. Love this giveaway! Would be great to purchase all of the items on my wishlist early this year! A glass of wine at the end of the day!